With the advances in madical science, people are now living longer on an average. But with this increased longevity, we also see an increase in age related degenerative diseases, and Alzheimer's Disease is one of the worst ones. It affects over 48 million people worldwide and the lack of palliative care services in India make it a very dreadful disease to live with. As families disintegrate, our social setup also fails to provide the end of life care required for the patients of Alzheimer's disease. This is why early detection is important. Early detection helps in better treatment and also allows the patient some time to sort out their affairs and make arrangements for their care. Here are a few early signs of Alzheimer's disease that should not be ignored. 1. Inability to solve problems. 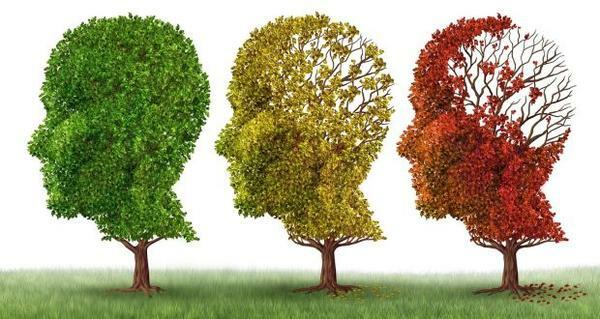 Alzheimer's patients find it difficult to solve simple problems and witness a fading in their problem solving skills. 2. Memory loss is the very first sign of Alzheimer's. Forgetting names of people and places or forgetting dates is the first sign of degeneration of the brain. If a loved one asks the same question over and over, it is a sign for concern. 3. Inability to place time is another common symptom. If a person forgets the date and time often, it can be an early sign of brain disease. 4. Inability to carry on with life is a challenging result of brain degeneration. So if a person forgets how to play a loved game or cannot remember the way to the library or loses way while coming home, it is time to see a doctor. Some of these signs are common and natural outcome of agening, but it is easy to spot a serious problem if you know the signs to look for. Is Wine Good For Your Health? Aayush Sharma signs Rajkumar Santoshi's rom-com! Will Priyanka sign in Ajay Devgan’s Baadshaho? Poonam Pandey Signs Her First Bollywood Film! Ajab Gazabb Love, Is It Worth the Price of a Ticket?